Redair Flight Centres have been running highly successful Commercial Pilot Licence courses for many years and boasts some of the most qualified and experienced instructors in this field. 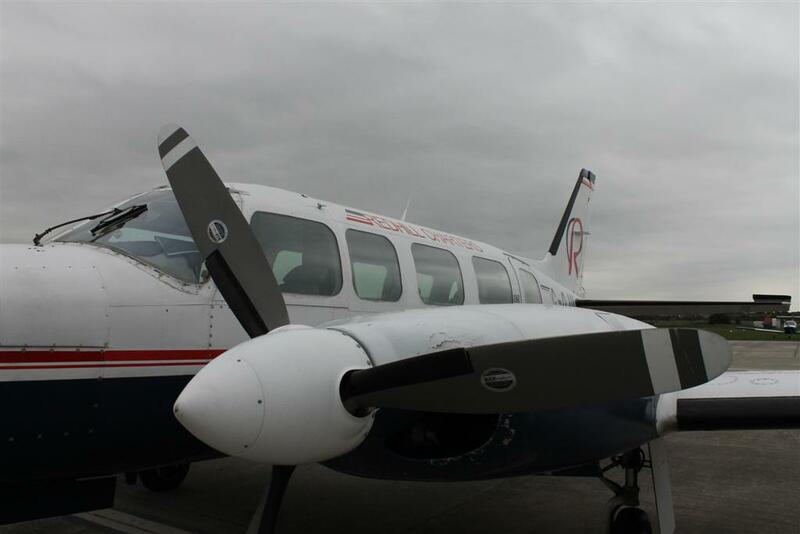 We specialise in the provision of fully flexible “Modular Courses” of flight training. The aim of the course is to train PPL(A) holders to the level of proficiency necessary for the issue of a CPL(A). This course is designed for applicants who do not wish to undertake a full time course of integrated training or who wish to stagger their training by completing approved modules of training over a period of time. The course consists of at least 25hours dual instruction, which includes 10hours instrument instruction. If a JAA IR is held, then the course minimum is reduced to 15hours as the 10 hours instrument time is not required. Although it is only required that 5hours training is carried out on a complex aircraft (SkyLeisure use the Piper PA28R Arrow), we strongly recommend completing most, if not all of the course on the Arrow at minimal additional cost. The course begins with general handling and emergency consolidation training, before moving on to the instrument part with both full and partial panel exercises. Navigation exercises follow with a build up to practice skill test sorties. An important part of the CPL course is the development of the pilot’s understanding of Threat and Error Management, and Cockpit Resource Management. SkyLeisure strives to produce a fully competent commercial pilot with the ability to handle complex situations and feel at ease on the day of the test. Ground school is available, if required, to assist students understanding of flight planning and preparation, performance calculations and commercial aircraft operational requirements. SkyLeisure is the only training organisation at Shoreham Airport with an A.O.C. for commercial flight operations, giving it unparalleled insight and access into the day to day activities of genuine commercial aviation activities. The flight test is flown from Shoreham with a CAA Flight Test Examiner. See below for pre-entry requirements. Due to the fact that the CPL Skill Test can not be attempted until all of the required training (including the theoretical training) has been completed, we strongly recommend completion of the theoretical training, prior to commencement of the flight training. A pass in the theory exams will be accepted for the issue of the CPL(A) or IR(A) during the 36months from the date of the final pass in the examinations.